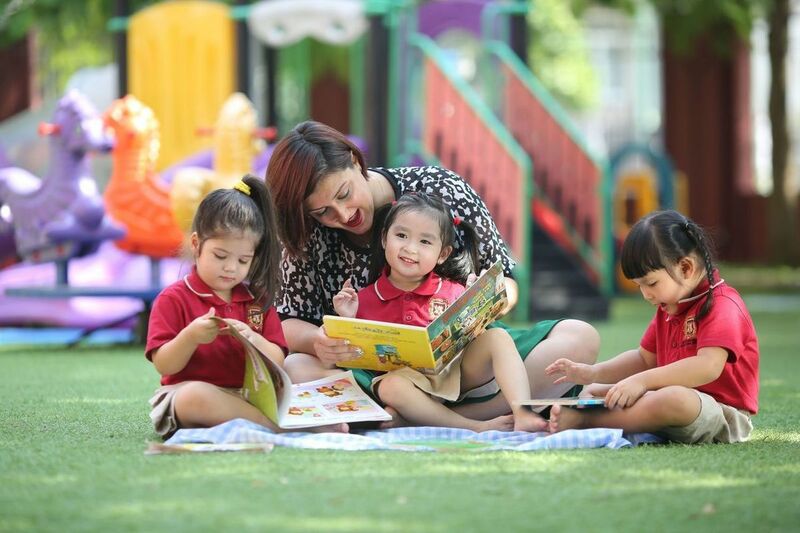 VAS Preschool students happily learn the National curriculum combined with the English program which is taught with a Multi-Faceted Approach to Learning for Kindergarten. In addition, VAS also incorporates ICT into students’ learning making a more learner-centric environment and fostering different ways of thinking.VAS Preschool students happily learn the National curriculum combined with the English program which is taught with a Multi-Faceted Approach to Learning for Kindergarten. In addition, VAS also incorporates ICT into students’ learning making a more learner-centric environment and fostering different ways of thinking. At VAS the main focus is always the well-being and academic growth of our students. We carefully monitor their progress in all areas and strive to cater to all individual needs. General information about tuition fees of Kindergarten level, other fees in details and supporting policies to help parents with financial plans for their children's study at VAS. Only 20 – 25 students in each class enables teachers to pay close attention to each one. As a result, students understand the lesson better and have no stress of extra class. VAS buses are able to pick up students of all grades in all locations across the city. Our criteria is safety and friendliness. Students are well cared by VAS professional staffs. VAS provides students with convenient and safe facilities for all resting, hygiene, playing or studying activities to ensure their health and good physical development. Nutritious meals strictly meet all the standard of food safety. Besides the periodical medical such as general check-up, dental check-up, eye check-up or obeity screening,… the medical staffs at all VAS campus take daily care of students’ health. In VAS, there are experts in physchology consultancy to provides students with the most general advices. VAS pay close attention to the connection with parents. 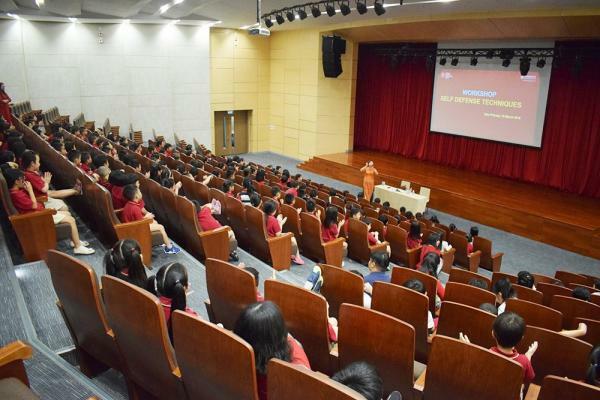 Besides the daily study plan, the meeting with parents in each semester allows Vietnamese and expat teachers to update students’ health, performance and psychophysiology. "Treat students with all of my love"
As this is their first time at school, childern usually cry a lot. However, as long as I treat them with all of my love and passion so that they can feel the safety and friendliness here, the school will become more interesting to them. "Teacher is like a second mom"